What a great reminder! Sometimes my job is uninspiring, and I’m still looking for my niche in life. I thought I was done after earning an advanced degree and finishing post-doctoral training, but how wrong I was. 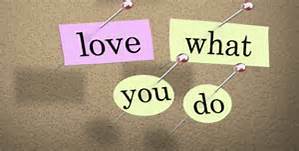 The thing I like to remember when I feel rather dim and dull at work is that I can bring light and love into everything and anything I do. And meaningful work doesn’t have to mean the job I go to from 8 to 5. Slowly, I’m building meaning elsewhere. It’s a slow and very bumpy process. Letting go of the reflex to assign my self-worth based on productivity, work prestige, earnings, and accolades is a tough one, but I’m coming along! Hi Lulu, I hope all is going well with you. Thank you for a wonderful comment. You are so right that meaningful work does not have to be the 8 to 5 one. You are a light to many. Oh goodness, thank you! I certainly don’t feel that way, but it is easier in delightful company. 😊 Thank you for writing such a wonderful blog!